cardigans and kids: the camilla pullover. I also like to refer to it as my "alias" pullover - knit mostly while watching season 1, 2 and part of season 3. According to my ravelry notes, it has taken me less then a month. That is either a lot of Alias, nice size 10.5 needles, or a bit of both. My first go with osprey from Quince. The yarn is as great as I heard it was. Looks great! You're fast woman!! my goodness, i've been eyeing this sweater for weeks! 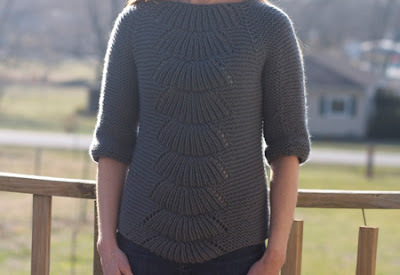 it's in the ravelry queue, i'm so glad to see it turns out well! i've just bought the 'castle' pullover and the 'sabrina' mitts patterns and the wool that goes with them is (hopefully) winging its way across the ocean right now! Thank you both! Amy - 10.5's are pretty sweet for a pullover - so much faster. 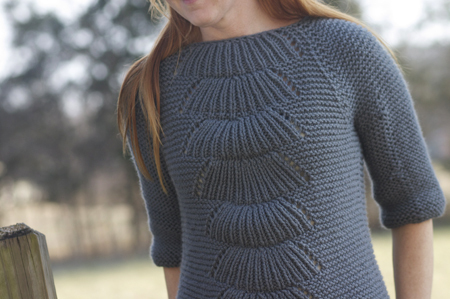 I've been thinking about the castle pullover myself. I'll have to see how your's goes.